The RPH-05 is a 12-fret parlor-size guitar (or what Recording King calls their "Single O" size). 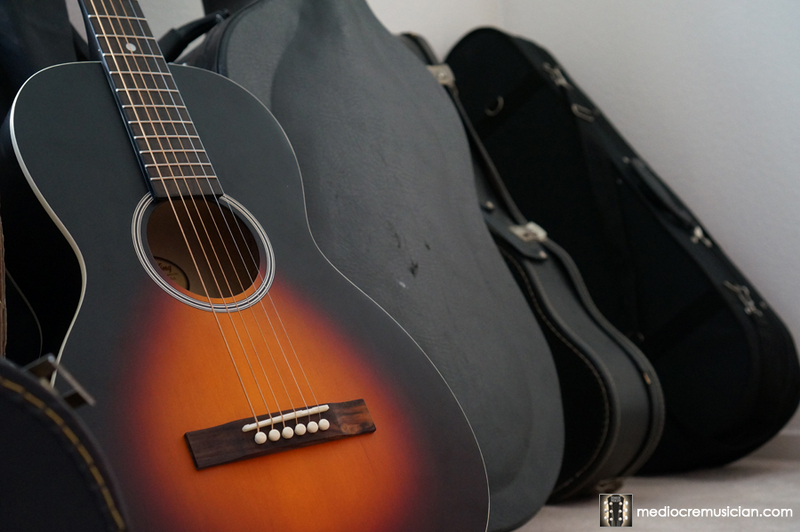 I had been wanting a smaller-sized guitar for a while (something compact and easy to take on trips or over to friends' houses for jam sessions). 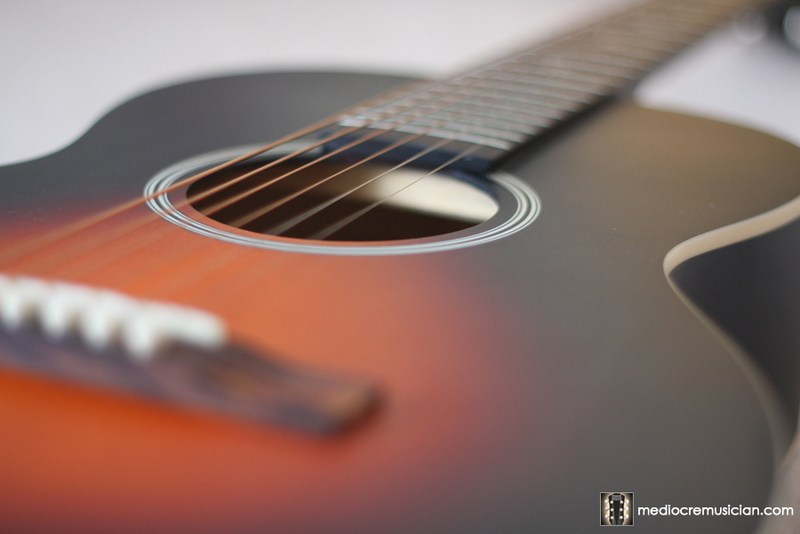 The RPH-05 features a solid spruce top, white wood back and sides, and a rosewood fretboard. The saddle and nut (1 11/16” width) are made of bone, and the head features their “vintage style” tuners. 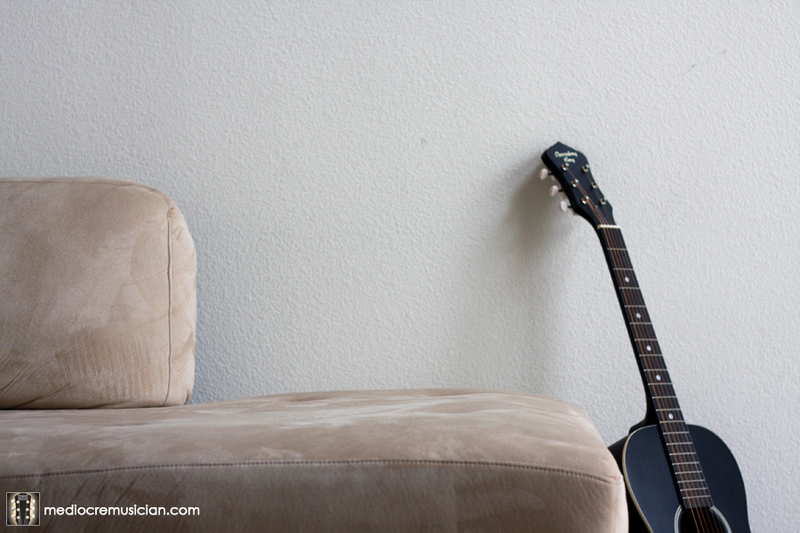 While the guitar is small and lightweight, it feels solid. No rattles or creeks, nor does it have that “brittle” feel that some cheaply-made instruments have. The RPH-05 definitely feels like it was built to last. The RPH-05 looks and feels great. The ultra-cool matte sunburst finish looks like something you would find on a much pricier guitar and is smooth to the touch. 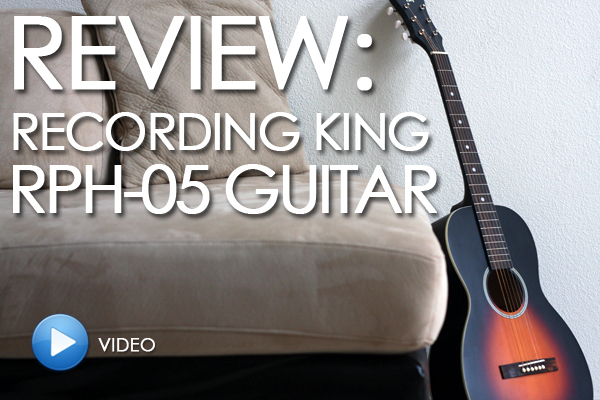 The headstock has a great shape, with an (almost overly) understated “Recording King” logo. The fretboard features over-sized dot inlays. The quality and detail to which the RPH-05 is finished from end-to-end will also lead you to believe you’re holding a much more expensive guitar. The edging is evened and smooth, and the finish goes right into the sound hole. You won’t find any burs or sharp edges on this guitar. Playability & Sound, Sound, SOUND! The category that matters most. Even though I watched as many videos as I could online beforehand (love this guy, BTW), admittedly I was worried the guitar might sound "tinny" or empty in person. To my surprise, the RPH-05 produces a really BIG sound out of such a small body. It's very comfortable, and plays great. 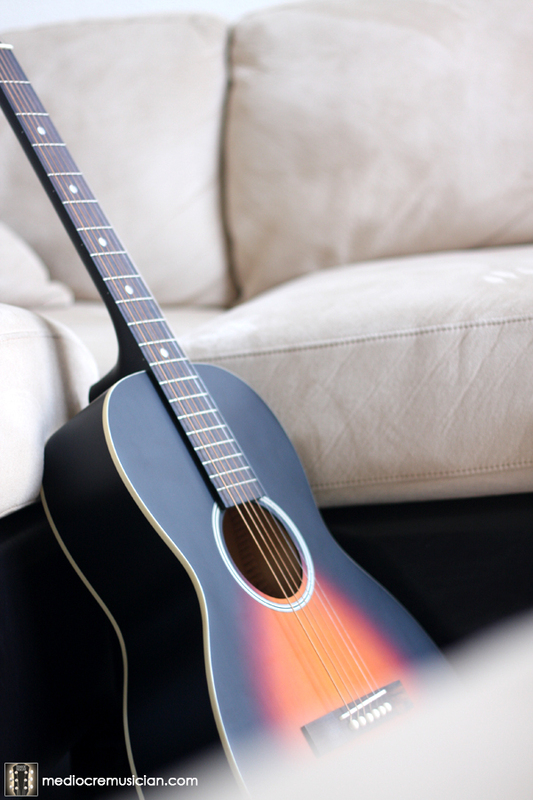 (Its small size and light weight, makes it the perfect lounge-on-the-couch-while-playing guitar.) The tuners are firm and the guitar holds its tune. Personally, I would have preferred a wider nut (that's what she said?). Of course, while I prefer a 1.75" nut, I think most would appreciate the standard 1 11/16". Would this make a good first guitar for a beginner? In general, I have a tough time recommending a 12-fret parlor as a first guitar. 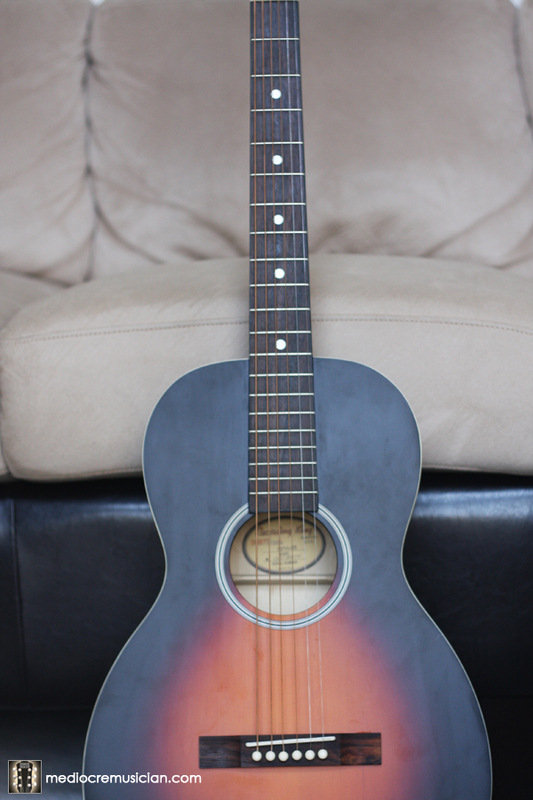 I would however, in a heartbeat, recommend its sister model, the ROH-05 as an excellent choice for a first guitar. The Recording King "Dirty Thirties" ROH-05 is a full 14-fret "OOO" size guitar at the same $199 price point. This is an EXCELLENT guitar for the money, and I highly recommend it to anyone looking for a small, cheap, throw-around guitar.